27 artists have been added to the music and arts programme for the Danish non-profit festival. Other new acts include Cypress Hill, Bring Me the Horizon, SOPHIE, Khruangbin, Fatoumata Diawara, Girlpool and Stella Donnelly. More than 180 music acts will play Roskilde Festival 2019. The Cure, Robyn, Travis Scott, Christine and the Queens, Tears for Fears and many more have already been announced, and they will be joined by 27 new artists from five different continents. The queen of hip-hop Straight out of Bronx, 26-year-old Cardi B is the undisputed queen of hip-hop. She has topped the charts with singles such as Bodak Yellow and I Like It from her debut blockbuster album Invasion of Privacy. She has received seven Grammy nominations, and she is the first female rapper in 19 years to top the Billboard Hot 100 chart and the first ever to have three singles in the top 10 at the same time. Her rise to stardom has been unconventional: she went from gang member to stripper, becoming a local celebrity, social media personality and reality TV star before turning to music and now headlining Northern Europe’s biggest festival. Virtually unknown outside of London, teenage quartet Black Midi are deemed the next big thing in the UK: Fans of math-rock and noise will have plenty to look forward to here. 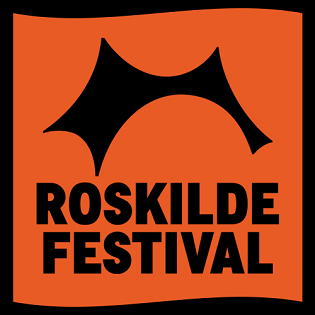 Roskilde Festival 2019 will be full of talents, and this is reflected in the festival’s Art Zone as well. Danish artists Alexander Tillegreen, Biba Fibiger and Ida Sønder Thorhauge are among the first to be announced for the arts programme along with acclaimed Brazilian artist Assume Vivid Astro Focus who will build a colourful, psychedelic stage in the Art Zone.